On behalf of the ISDI Family, Join us in congratulating our Second Graduating Cohort, Class of 2018. 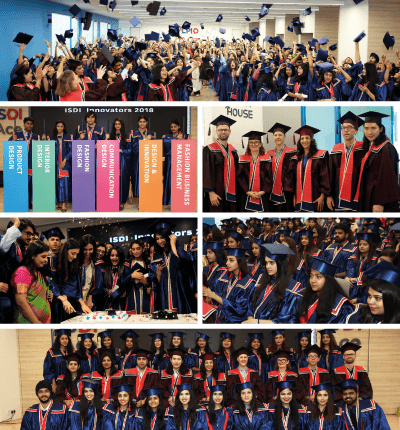 The grand ceremony took place yesterday, the 01st of June, 2018 in presence of the esteemed faculty panel from Parsons School of Design, New York, Faculty from ISDI Mumbai, proud parents and of course the graduating young design innovators, Class of 2018. We thank all our students, parents and the industry for their trust & support in ISDI and to all our faculty for being the guiding lights in this wonderful journey.